With Elastic from Ageas, you’re in control of your own home insurance. Why choose home insurance from Ageas? 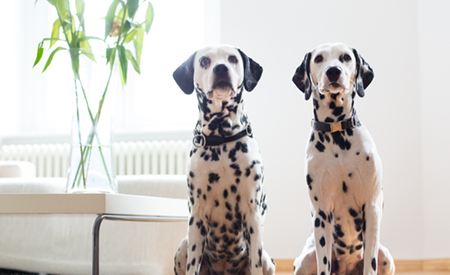 When it comes to home insurance, we don’t believe that one-size-fits-all. As long as you're happy, your cover just keeps on rolling with no unexplained renewal price increases. Home insurance with no yearly tie in, just a simple monthly rolling contract. No fees. No charges. More flexibility. Choose the cover that's right for you. Flex your excesses and watch your price change. What makes Ageas Elastic different? No two people are the same, so why should their home insurance be? With Ageas Elastic, your price is dictated by you and what you need to cover. Live in an area unlikely to flood? Increase your excesses and watch your price go down. Pay monthly, stay as long as you want and if you need to cancel, we won't charge you. We also promise that you won't see any unexplained renewal price increases. Ageas Elastic, making home insurance easy. Buildings cover from £7.99 per month**, with up to £1m buildings cover. Contents cover from £5.88 a month^, with a range of contents cover between £20k to £100k. Designed to give you up to £50,000 for a wide range of disputes that may affect you. You can make changes to your policy whenever you like. Just log into your online account to make a change with no admin fees. Fill out our contact us form anytime. If you need to make a claim, you can phone our UK-based claims team 24/7 on 0345 125 2491. When’s my policy renewal date? With our home insurance, you're not tied in to the usual 12 month contract so your policy renews monthly until you decide you want to leave. You can check your premium in your online account at any time. What’s the catch if there are no fees or charges? There really isn't one. You can make your changes online with no admin fee and leave anytime with no cancellation charge. What can I add to my policy? We believe our home cover is comprehensive. However, we’re currently developing our optional extras and will let you know when they’re available. If I don’t have an annual renewal, will my premium ever change? If any of these events do ever happen, we’ll give you advance notice of any increases to your monthly price. Otherwise your price just keeps on rolling. **10% of new customers who purchased buildings only policy paid £7.99 per month or less (Nov18 – Jan19). Actual premium depends on individual circumstances and cover chosen. ^10% of new customers who purchased contents only policy paid £5.88 per month or less (Nov18 – Jan19). Actual premium depends on individual circumstances and cover chosen.